Is there a certificate for the course, how long is it valid for? Upon successful completion of the course and written exam, you will be presented a “certificate of completion” from the SBSA. The certificate of completion is recognized by SBSA member institutions as well as USF&WS, USGS, and NOAA PIFSC as proof of training, and is valid for five years. Your host institution may have further training for you to complete before you may operate institutional watercraft. What is the typical course schedule? Typically, the course starts at 8 AM and ends at 5 PM for each of the three days. The first day typically covers all the lectures and pool demonstration and day 2-3 is mostly hands-on demonstrations and boat handling. I have other commitments and may miss some of the course, will I still be able to complete the course? The course is rigorously designed around a 24 hour minimum standard, you should wait and take the course when you can commit to the full schedule. What clothing will I need to bring to the training? This depends on time of year, but be prepared for a mix of conditions that range from hot and dry to cold and wet. 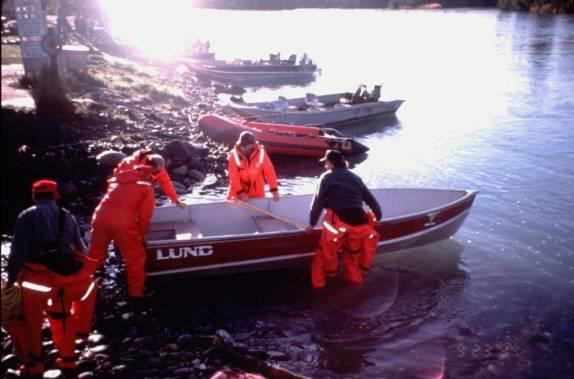 Typically, the boats used for training are unprotected small craft and you can expect to be wet some of the time. Non-cotton, breathable, water-shedding fabric is preferred. For Spring & Summer courses bring plenty of sunscreen. 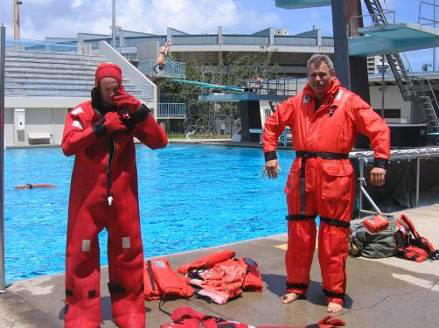 For Fall & Winter courses bring foul weather gear. I don’t have a Personal Flotation Device, will you provide one? A limited number of PFDs are available. If you don’t have a personal PFD, check with your home institution first. If your home institution cannot provide an appropriate PFD, notify your course instructor that you will need a PFD prior to the start of the course. All participants must have a fitted PFD to operate the watercraft and for survival training in a pool or confined water setting. I’ve never operated a power boat before, will this be a problem? No, the course is specifically designed to teach the fundamental skills of boating safety to the novice operator. I have never trailered a boat, will this be a problem? No, the MOTC covers the basic skills you will need to safely trailer, launch and retrieve a boat. 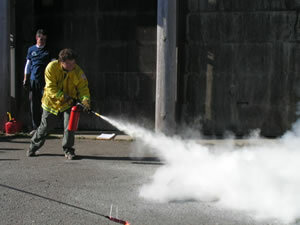 We do recommend that you practice this skill after the course, as it is very useful. I’m a licensed mariner with many years experience operating boats, what will I learn from this course? Both students and instructors will benefit from your experience. While the MOTC is an introductory course, many maritime professionals have been surprised by the breadth of information that is presented in three days. I don’t swim, will this be a problem? The in-water exercise consist of treading water for short durations and are conducted in a pool or confined water where PFD’s are used. Notify your instructor that you prefer to have a PFD for the in-water exercises. I need to learn how to operate specific equipment on our institutions boat, will you teach this? The MOTC does not cover operation of specific hardware but does a good job covering the basics of safe boat handling and navigation. Ask your instructor or your peers about the equipment you are learning and they may be able to assist outside the regular course curricula. Can we choose which type of boat we learn to operate? A typical MOTC will consist of 2-3 watercraft of various sizes, hull designs and propulsion. The course is designed to provide students hands-on time with each watercraft in an effort to expose them to variances in how the craft responds to their operation.